What do the lungs look like and how do they work? 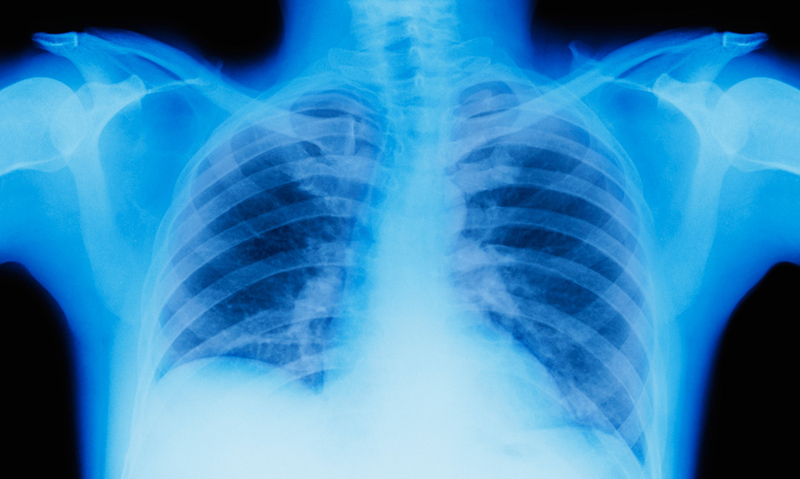 See how the lungs exchange oxygen with carbon dioxide in the respiratory process. As you breathe, oxygen is taken in and carbon dioxide is pushed out - via the lungs. Air travels to the lungs through the trachea, which splits into two bronchi, each with smaller branches of bronchioles. The bronchioles lead to tiny air sacs, alveoli, where the exchange of oxygen and carbon dioxide occurs. Capillaries allow oxygen to enter the bloodstream and travel around the body. When you breathe oxygen is taken in and carbon dioxide is pushed out. This takes place in the body’s largest internal organ. You take in air through the nose and mouth, down the trachea towards two tubes. Each bronchus leads to a lung.